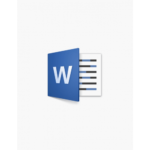 Microsoft Word is easy, accessible and low-cost – and most authors can operate it almost in their sleep. So what are the attractions of a specialist writing software Scrivener, that make the learning curve worthwhile? Tasmanian novelist Alison Clifford shares her experience. I’ve used Word for years. I know the program well and I’ve used its features to make my writing easier. The problems many writers seem to experience haven’t occurred with me—I’ve never had Word crash. As far as word processing goes, I’ve seen no reason to change. I’ve been tempted by Scrivener several times, but always stayed with Word. Until now. 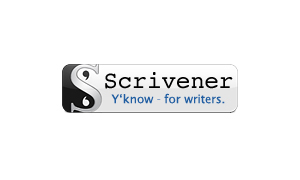 So Why Switch to Scrivener? 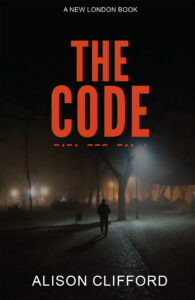 I write romance suspense novels. Each time I forgot which chapter a certain clue was in, or when I couldn’t remember the details of some research, I became frustrated and wasted time trying to find it. I tried setting up spreadsheets to record details, or using a notebook, but it’s always been a juggle. The ability to have it all to hand prompted me to look at Scrivener once more. The learning curve. Every time I looked at Scrivener reviews there were always comments about how much time it took to learn how to use. Sure, there are courses to do, but did I want to use a program I needed to do a course for when I could write using Word? How much time would I be wasting, and would it be worth it? This time though, I watched the two introductory videos on the Literature and Latte website. Not once, but twice. That was when I started seriously considering changing to Scrivener. I had a better idea of what it offered and it didn’t look too difficult to negotiate the basic functions. And it has a free trial. The temptation to have everything in the one place was too much to resist any longer. Well, that was an anticlimax! I had little problem with getting a good grasp on the basic functions. I credit this to two things: watching the introductory videos again before I started; and taking the time to go through the tutorial. It’s also helpful not to get hung up on what they call things, e.g. a document could also be referred to as a chapter. Following the tutorial through was simple and taught me all I needed to know. Also, the tutorial is always available under the Help menu, so refreshing knowledge on functions is easy. There is a manual—a big one! It’s searchable, and I used it to work out how to import from Scapple (another Literature and Latte product that I use for planning). Perhaps not the easy way to earn, but the information is there if I need it. Learning Scrivener – or at least the basic functions of it – was easier than I had expected. Oh, the functions! I’m using Scrivener to edit the manuscript for my next novel and adding chapter synopsis, labels, document and project notes as I go. It’s made the process so much easier to have the information right on the screen. I love that I can add labels to chapters and find them with a few clicks of my mouse. No more scrolling through to find what I need! The chapter synopsis will help with the flow of the story and serve as a quick way to refresh my memory. The function I didn’t expect and now love? Document and project notes. I can add notes to the document or project, whichever is appropriate. These notes can also be accessed when using the overview of the project, or the corkboard function. By clicking on the relevant line or card, the notes appear. So useful, and no more notebooks cluttering up my desk! I’ve set up my own template based on my current project. It was a quick and straightforward process and now I’ll have the basics of all I need right from the start: labels; character files; and settings files. I took inspiration from the templates provided by Scrivener to enhance my design. And I can transfer the character files from one project to the next if I’m working on a series. No more piles of print outs, no more searching Pinterest for that article I saved…somewhere. I can have all the research in the project file and using the split screen function I can look at the research as I am writing. Does that mean I’m giving Word the flick? Well, I still need to send a Word file to my editor, so it’s not completely gone. I gave the export function a trial run, and it seems to work well (phew). I also enjoy the formatting process, so until further notice I’ll be using it to prepare my files for uploading for publication. Although I won’t save the cost of purchasing Word, Scrivener is not expensive, and it’s a one-off purchase. Changing to Scrivener was nowhere near as traumatic as I thought it would be. The program was easy to install, and the tutorial was simple to complete. The features that drew me to Scrivener are all I’d hope they’d be and I don’t regret making the change. Are you thinking of switching? Give it a go. Hey, you can always go back to what you used before. 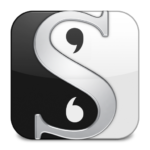 I doubt I will—I love Scrivener. 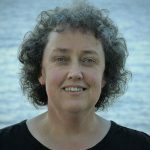 Alison Clifford has independently published seven romance suspense novels, drawing inspiration from her childhood in country Victoria and her time serving in the Royal Australia Air Force. She now lives with her family in Tasmania. For more information about Alison Clifford, visit her website: www.alisonclifford.net. I too agree that Scrivener is a wonderful tool! As I write each book in my series, I’m exploring the possibilities available on Scrivener and utilizing the tools. A learning curve for sure, but the sweet part is its value even if you never learn all the bells and whistles. So helpful to read about how other authors use it. Love the project targets/daily word counts! I totally agree with you Alison. I love Scrivener. Your path to moving over to it was similar to mine. I’m sure I don’t use all the features it has – perhaps I’ll add them as I get to know about them – but having everything to hand under one roof, so to speak, is brilliant. I really don’t know how I managed without it before!